About 1,300 homes and businesses in the Pierce and Weippe areas were without power for almost five hours this morning after an Imperial Oil test module hit a line supporting a transmission wire. The outage started at about 1:45 a.m. following the incident on U.S. Highway 12, two miles east of Orofino, said Debbie Simock, a spokeswoman for Avista. The megaload hit a supporting line triggering a pole holding it up to break and then the supporting line hit a transmission line that shorted, said Simock and a spokesman for the Idaho Transportation Department. Traffic was delayed one hour instead of the 15 minutes that ITD is allowing, said Adam Rush, a spokesman for the transportation department. The over-sized shipment is now parked at milepost 61, 13 miles short of Kooskia where it was supposed to arrive by 5:30 this morning, Rush said. “No one was hurt,” said Pius Rolheiser, a spokesman for Imperial Oil. No decision has been made about whether the test module will continue this evening on the next leg of its trip to Montana on U.S. 12, Rush said. Rush’s employer is waiting for a report from Mammoet, Imperial Oil’s hired hauler, about what happened before it makes any decisions, Rush said. Extracting natural gas from the Marcellus Shale could do more to aggravate global warming than mining coal, according to a Cornell study published in the May issue of Climatic Change Letters (105:5). While natural gas has been touted as a clean-burning fuel that produces less carbon dioxide than coal, ecologist Robert Howarth warns that we should be more concerned about methane leaking into the atmosphere during hydraulic fracturing. Groups to mark Gulf Oil Spill anniversary with direct action against fossil fuel extraction. 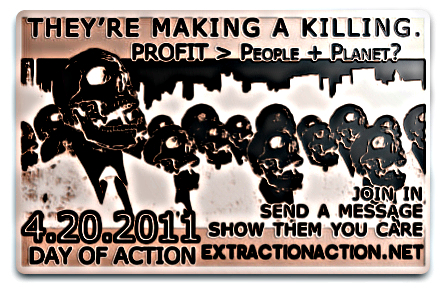 On April 20th dozens of environmental, climate, and social justice groups will target government and corporate operations with aggressive protests and civil disobedience in an International Day of Direct Action Against Extraction being organized by Rising Tide North America. The protests will commemorate the 1 year anniversary of BP’s Gulf Oil Disaster by demanding an end to the environmental destruction and climate destabilization created by fossil fuel and other extractive industries. ExxonMobil needs to move the oversized loads from the Port of Lewiston to Montana. 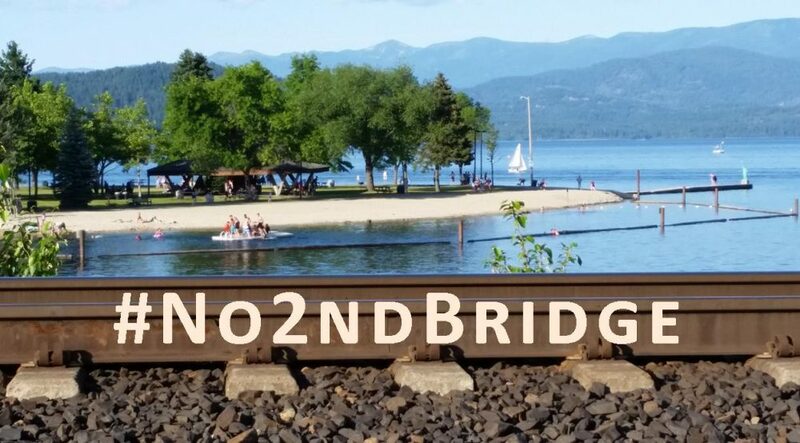 The company is proposing to move them up US-95 through Moscow and other communities to reach Coeur d’Alene, and then head east on I-90 to Montana. In its proposal, the company says the shipments would move between 10:00pm and 5:30am and says that each trip would take three nights. Crews are working at the Port of Lewiston to reduce the size of the megaloads stored there so that they can make the trip. The Idaho Transportation Department says the largest shipment being proposed is 24 feet wide, 15 feet- ten inches tall and 207 feet in length. ITD says its engineers have just begun analyzing the proposal and does not know when the shipments would start if the plan is approved. 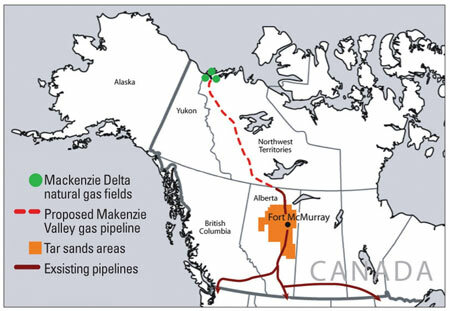 “The Alberta government, as owner of the province’s resources, has played the dominant role. Different divisions of the Albertan government are responsible for the various aspects of oil sands policy. The Energy Resources Conservation Board is responsible for regulating the oil and gas industry in Alberta, while Alberta Energy is responsible for granting rights to industry for exploration and development, collecting royalties, and administering the energy sector’s fiscal regime. Alberta Environment, through relevant legislation and guidelines, regulates the impact of oil sands development on air, land, and water in the province. Recently, the Oil Sands Secretariat was created within the Treasury Board to strengthen policy coordination. To inform policy development the Government of Alberta has also turned to processes involving a multitude of stakeholders. To guide the direction of future growth in the oil sands, the Alberta government created the Oil Sands Multi-Stakeholder Committee to consult with all relevant stakeholders in the province, including the general public. The committee released its report in June 2007. As of the end of May 2008, the government has yet to respond. The Cumulative Environmental Management Association (CEMA) was created in 2000, with the charge to propose a framework for environmental management for the Athabasca oil sands region. For various reasons, its progress has been slow. In January 2008, CEMA did call for a halt to the issuance of new tenures in one area while it continued deliberating , but the provincial government rejected the request, saying it would consider the issue when CEMA delivered its complete report. CEMA released its Terrestrial Ecosystem Management Framework on June 5, 2008. 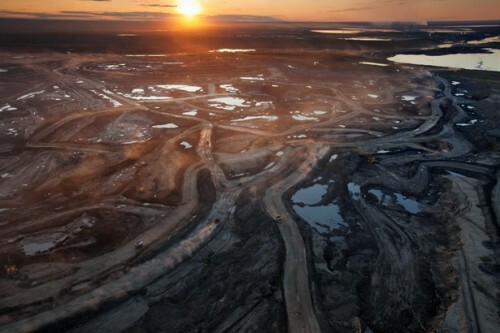 The federal government’s role in managing the oil sands has been minimal. While the Government of Canada has jurisdiction over waterways, fisheries, Indian lands, and environmental assessments, it has been hesitant to exercise this jurisdiction in a way that would threaten Alberta’s perceived right to develop its resources as it sees fit. The oil and gas companies involved in oil sands production have been extremely powerful stakeholders in the province. As of the end of December 2006 there were 21 companies operating 74 projects in the Alberta oil sands. Some of the companies producing the largest amounts of oil included Imperial Oil, Suncor, Shell Canada Limited and Canadian Natural Resources. Of the 21 producing companies, the largest seven accounted for about 84 percent of production in 2006. Today, environmental groups are increasingly asserting their concerns regarding oil sands development, and have gone so far as to challenge government policies in court. As the Alberta government remains relatively hostile to these groups’ demands, environmentalists find themselves largely removed from the formal political sphere in this arena. Finally, the 23 Aboriginal groups that live in northern Alberta are increasingly asserting their right to shape the development of their ancestral lands. Many of their concerns are articulated in the recent First Nations’ consultative process. All of these stakeholders are attempting to shift the pace, scale and direction of oil sands development in a particular direction that suits their respective needs or interests. To this end, some of the challenges with oil sands exploration – outlined further in this feature – are cited by many of these groups as they attempt to articulate their vision for the oil sands. – Located at the University of Lethbridge, in Lethbridge, Alberta (Canada), Maple Leaf Web publishes original articles and features on Canadian political events and institutions and provides important links to a wide range of external resources. Welcome to WordPress.com. This page is a work in progress. After you read this, you should contact me to get the password to be able to write your own posts. Make some changes to this page, and then hit preview on the right side of the screen after logging in. You can always preview any post or edit you before you share it to the world. Critics question process for selection of U.S. 95 route through prairie. The Idaho Transportation Department (ITD) is defending its controversial plan to build a four-lane highway next to one of the most endangered prairie ecosystems in North America, touting the route’s increased safety. District 2 engineer Jim Carpenter said the new road will cut in half the number of accidents on U.S. Highway 95 south of Moscow. ITD has drawn criticism for its plan to re-route a curvy, two-lane stretch of Highway 95 over Paradise Ridge, a popular landmark south of Moscow. A powerful documentary on the Great Bear Rainforest by EP Films, Spoil shows the splendor of nature with some beautiful photography. It highlights the nature we all want to protect, but our blinkered and incessant addiction to burn more oil is helping to destroy. Tucked against Paradise Ridge, the small patch of low shrubs and bunchgrass appears unremarkable. Yet this ten-acre parcel south of Moscow is one of the last, best remnants of the Palouse Prairie, one of the most endangered ecosystems in North America. It is here that the Idaho Transportation Department plans to build a $17 million, four-lane stretch of highway, past the hawthorn bushes and wild rose. But it is the route chosen by the Idaho Transportation Board last week over the objections of the state Department of Fish and Game, conservationists, and local homeowners.